We've returned from our Spring Break road trip but are still enjoying a few more care-free schedule-free days at home this week. It's been fantastic! For whatever reason, it's taken me this long to finally get my house totally put back together after Christmas. Just sharing some photos today... The Entry is pretty much back to normal with the clam shell orchid arrangement. I did a simple winter mantle in January, but added a bit more to it, including my faux orchid that you saw yesterday. I won this custom Ramsign piece (our wedding year) from a giveaway at Vintage Gwen a while back. I'm planning to use it in my bedroom but really like it hanging out on our mantle for now. The dining room has plenty of green, and like I told you on Monday, I struggle with what to keep on my tables. When all else fails, throw some things on a tray and call it good! Well, I guess I got everything done just in time, since today is the official first day of Spring! I'm sure that we all agree it can't come fast enough this year. I'm going to enjoy my kids for their last days off, but I'll see you on Monday for a fun Spring collaborative post with some of my favorite blog friends! 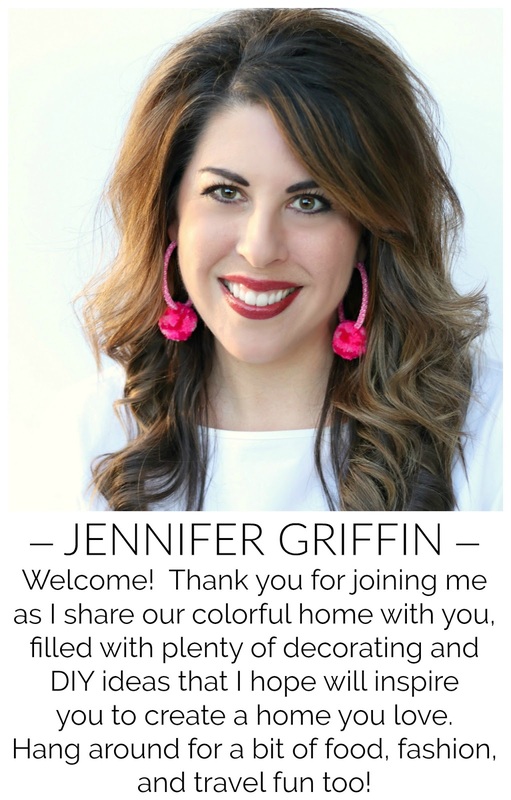 Jennifer, I love all of the bright, cheery colors! 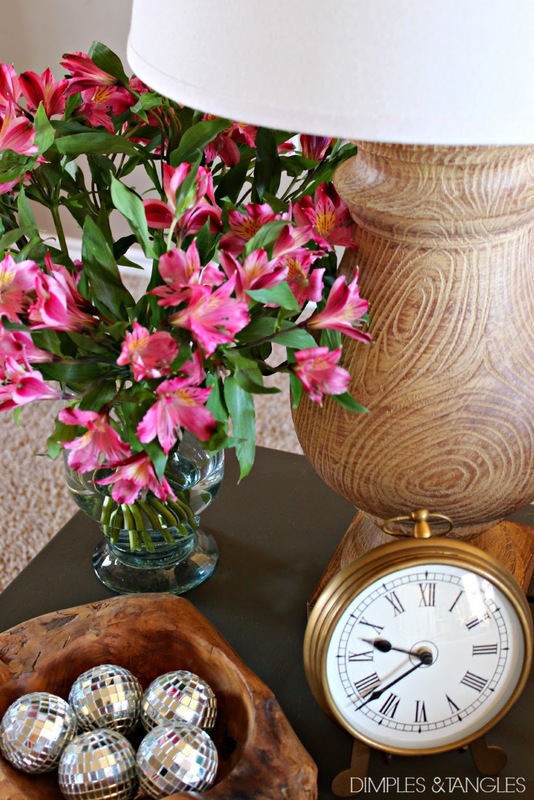 Your home decor is so perfect for Spring! So much goodness & happy colors! I especially am loving your new pillows! I never actually even think about green and how much I like it until I come to your blog. You incorporate it in a way that makes it so special and so pretty. Love it! I am a newlywed that married into homeownership. 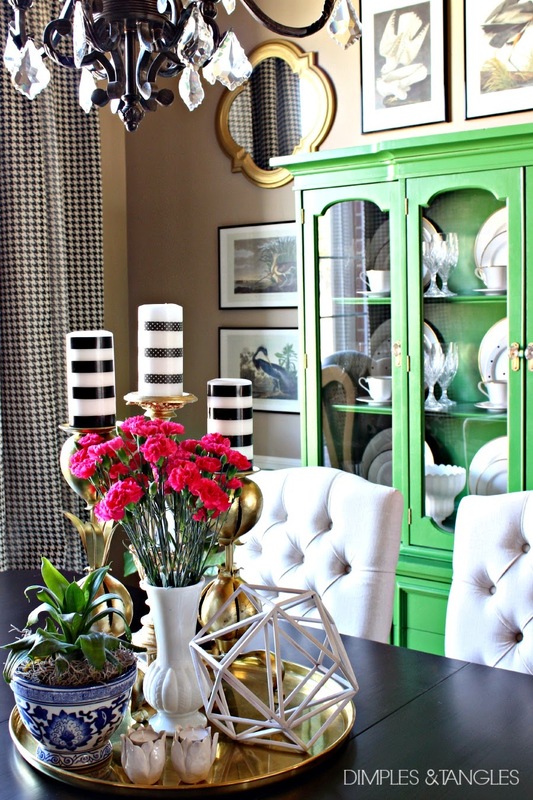 I am loving decorating and am surprised by how easily green fits into everything. I am trying to contain it to my dining room! LOVE your blog and your home. Always inspiring. I love all of your green! Welcome home!! Jennifer it looks like you've been having a great Spring Break with your kiddos! How in the world do you have time to clean your house and decorate for spring too?! 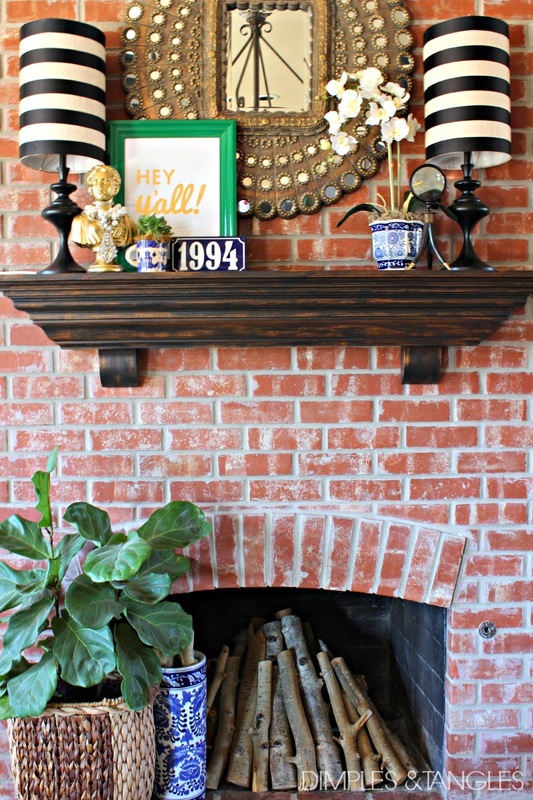 Love your new green tray and that fabulous mantle. You are a styling master! 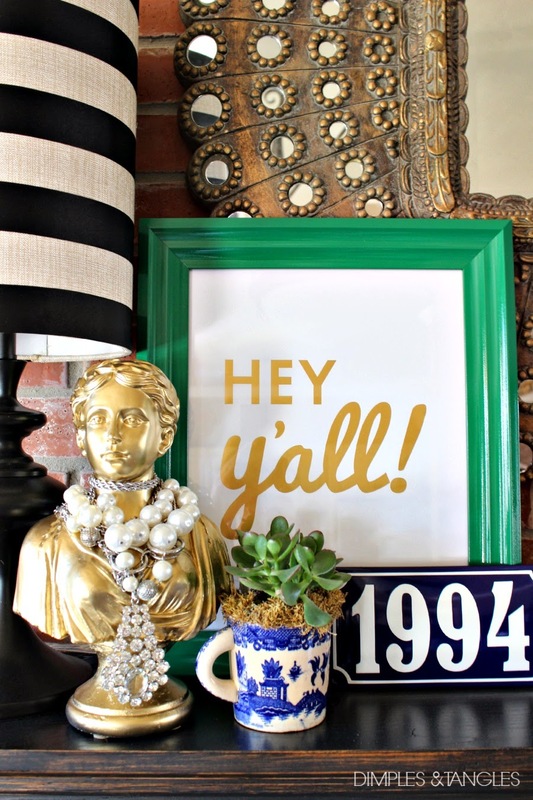 Please pop over and style my whole house! Enjoy the last few days with the kids off. It looks beautiful! 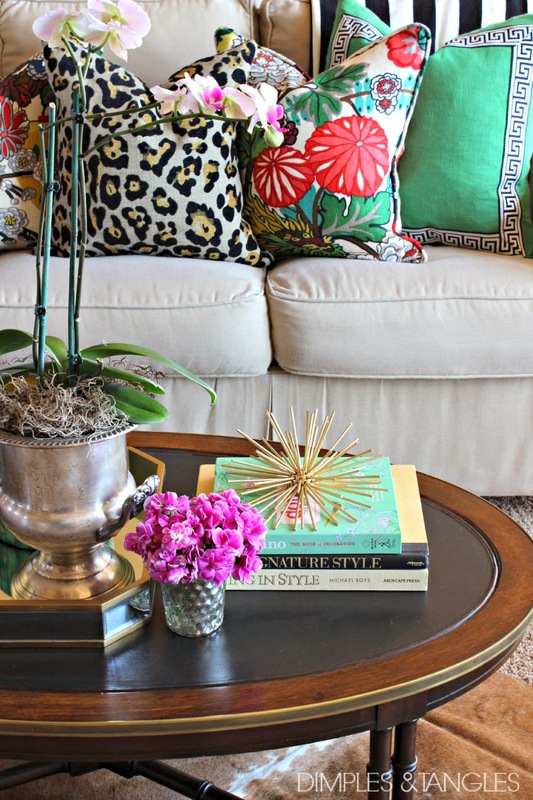 Love all the pops of green and those pillows on your couch! You have the best style! Plus, I love how it's evident that you know your style! You do such a great job!!! Happy Spring, Jennifer!! I always love coming home and having a couple extra days to get back in the swing. and especially if my house is put together - enjoy, it looks beautiful!! 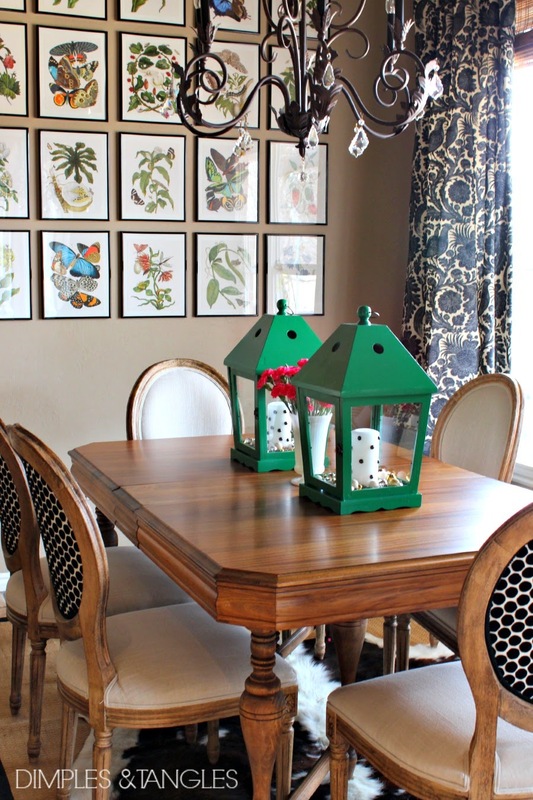 Jennifer I love seeing pics of your home! 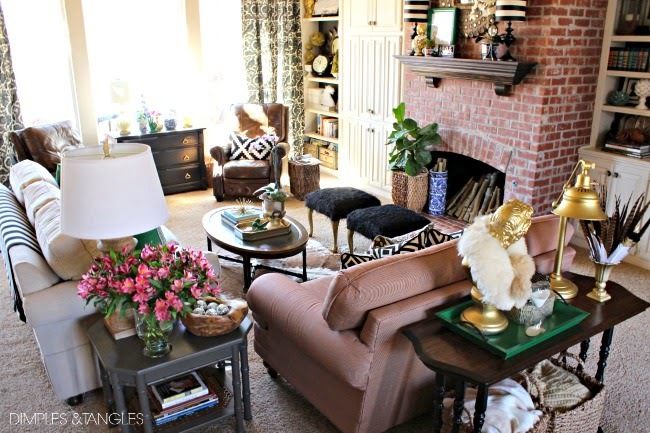 It's so lovely and I love those pillows with the greek key trim. Every time I'm shopping and see something that color of green I think of you! 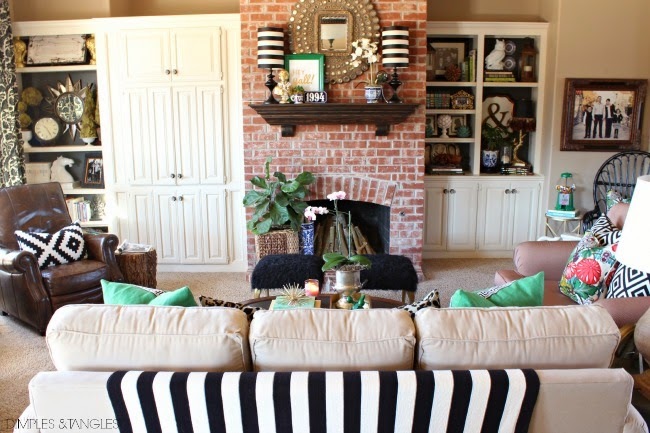 Love the black and white striped candles! Too cool! love all the pops of green!! So many fabulous little touches! I love your pillows!!! Love your home....it's so pretty and fresh with all the green added into the rooms. Im still trying to organzaize and sort through what i need to donate. Im glad spring just started. Love your home. Kelly green is one of my favorite colors. I love how you've used it in your home. I love the green accents! It's such a great fresh pop of color. It goes so well with the black and white stripes. 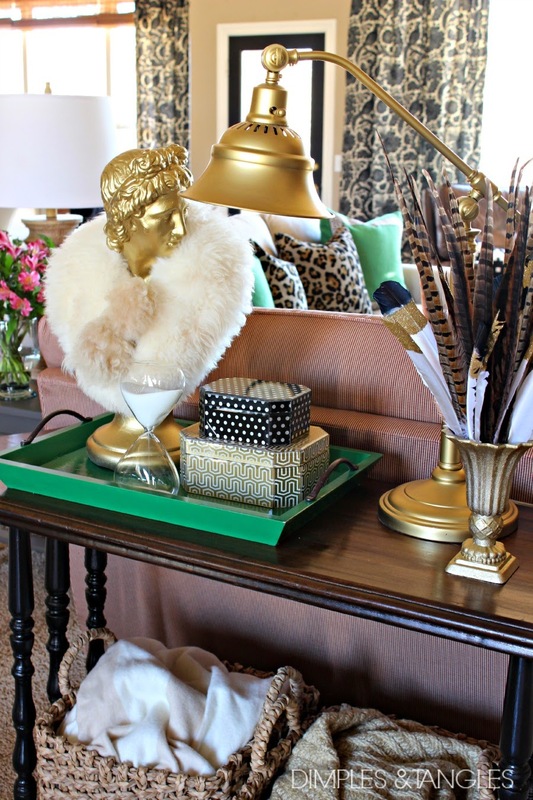 I love all things gold and bold! Thanks for an awewome giveaway! 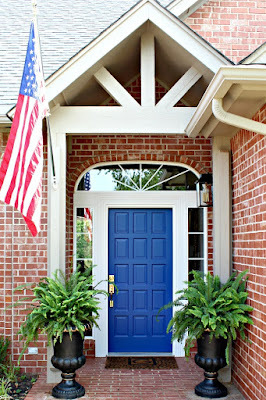 Love this entry way! Where can i find that flower that you put in the middle of your antler mount? It's fantastic! Oh, thanks Liz! That's actually a clip on brooch like to wear on a jacket. I think I got it at Hobby Lobby. 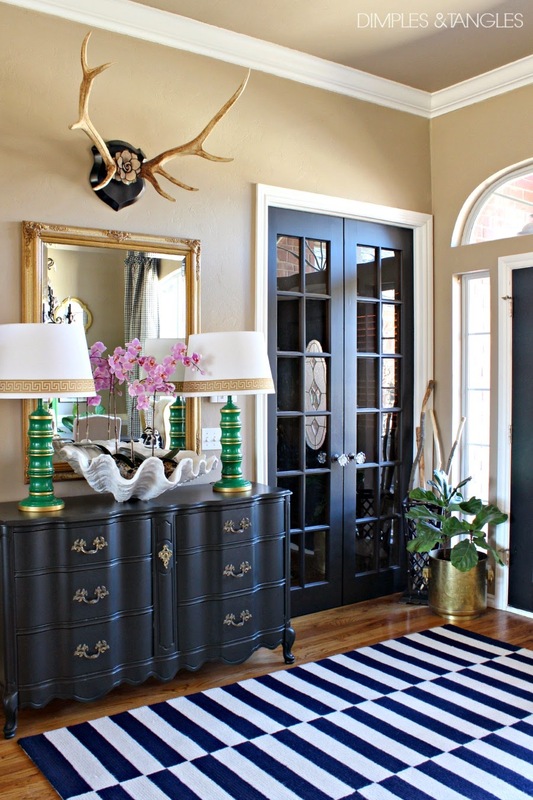 I love your entry rug! Where can I find this?